You might think that to avoid injury during a throwing motion you need to improve arm and shoulder strength and power. And while having a good arm is a definite requirement for a powerful throw, this is only part of the equation. It's important to build arm and shoulder strength, specifically in the muscles of the rotator cuff. But generating power to throw well and avoid injury also requires good core strength and a strong, solid foundation in order to generate power. The throwing motion actually begins with a strong core, particularly the transversus abdominis, and a strong lower body that can generate and transfer power through the torso to the throwing arm. So, the real power for throwing is generated through the movement of the entire body. Throwing a ball begins when the athlete shifts his body weight to the side of the throwing arm. After the weight transfers, the athlete forcefully pushes off the forward leg and transfers that force through the body and towards the target of the throw. Improving strength and power in the legs and core (as well as arms and shoulders) accelerates this energy transfer and generates greater velocity and accuracy when the ball is released. Because the shoulder joint takes the majority of the force of the throwing motion, you will find many throwing exercise programs that specifically focus on shoulder girdle. These routines, such as the Thrower's Ten, often include scapular stabilization, rotator cuff strengthening and stabilization of the entire shoulder joint. And while these exercises are important, it's also important that throwing-athletes add specific leg and core strengthening exercises to their routine to help improve overall throwing mechanics. Good exercises for throwing include those that use the legs, hips, core, shoulders, and arms in unison. Warm Up. Before getting started with any workout, and especially before overhead movement workouts, perform a thorough warm-up to increase the blood flow to the muscles. Simple jogging, leading into skipping and arm circles is one basic way to warm up. Add jumping jacks or the skip with a twist until you feel your core temperature rise and you just begin to sweat. Plank. The plank is a great core stabilizer. Perform the plank for 30 to 60 seconds and repeat two to three times. Supermans. This exercise improves scapular stabilization, which is critical for relieving pressure on the rotator cuff during throwing. Perform supermans for 30 to 60 seconds and repeat two to three times. Single Leg Bridge. The single leg bridge helps fire the glutes and the core so they are activated during exercises. Perform the bridge for 20 to 30 seconds on each side and repeat two to three times. Walking Dumbbell Lunges. The walking lunge (with or without dumbbells) is another great exercise to build leg and core strength while shifting weight from one leg to another. Because all your weight is on one leg at a given moment, you engage the core and build balance and proprioception. Lateral Band Walking. The lateral band walk is a great way to improve hip stability, increase hip abductor strength and improve the stability of the knee joint. Lunge With Medicine Ball Twists. The lunge and twist are ideal for building leg strength and balance. The weighted rotational motion provided by holding a medicine ball (or a dumbbell or weight plate) forces the deep, often overlooked stabilizer muscles to activate. Medicine Ball Rebounds. Begin by standing perpendicular to a solid wall. Use a strong rebound throw into the wall by rotating from the hips through the shoulders. Perform two to three sets of eight to 12 repetitions on each side. Distance Throws. Finish your workout with several long-distance throws in order to engage and activate the muscles you've just primed during your workout. This completes your workout by reinforcing the proper movement patterns for throwing. If you still have life in your arm and shoulder, add a few short power throws for accuracy and speed. There are many specific exercises for throwing that focus on specific joints and muscles. The Thrower's Ten is a popular program used by trainers and orthopedic physicians to improve specific joint stability. These exercises are often helpful as a part of a rehab program of rotator cuff and other shoulder injuries. 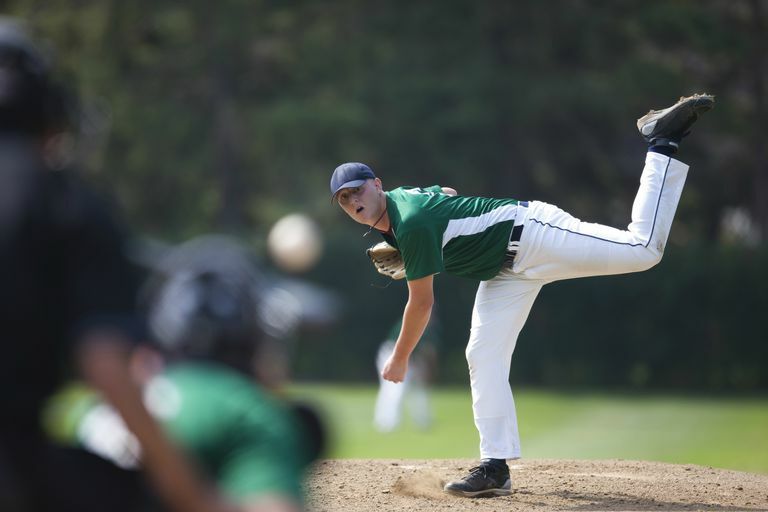 Ultimately, it may be that the key to becoming an excellent pitcher or throwing the perfect fastball is based on your genetics, body alignment and biomechanics. However, no matter where you are currently, you can help prevent throwing injuries by building whole-body fitness and listening to any warning signs of potential injury. Should You Still Work Out if You Have an Injury?